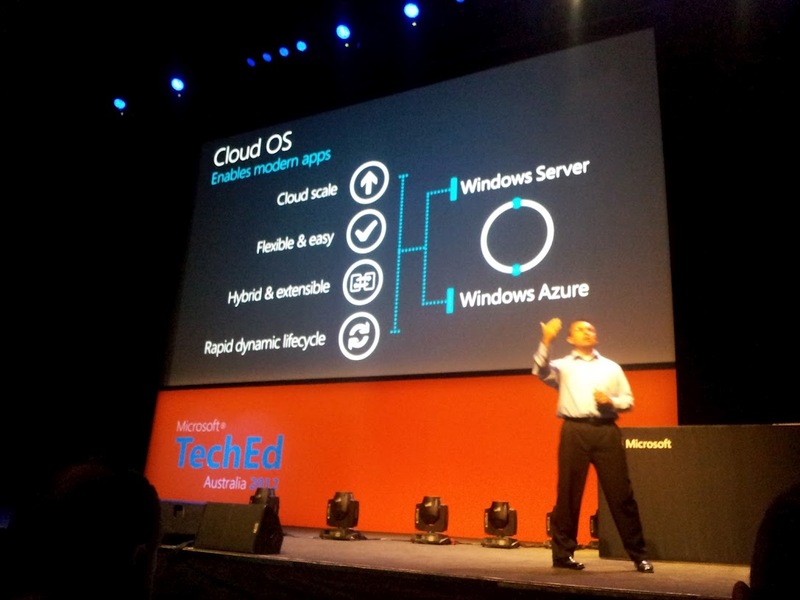 TechEd Day 1: Toys, Technology and Technobabble. Having been given the choice of coming up here late last night or early this morning I did what any enterprising person would do and elected to spend the extra night up here at the Gold Coast so I could enjoy a leisurely start to my day. It was worth it too as instead of having to get up at 4:30 in the morning I was able to stroll out of bed at 8am, wander aimlessly around Broadbeach for a while looking for food and then casually make my way over to my hotel for the rest of the week. After wasting a couple hours on Reddit waiting for the appointed hour to arrive I headed on down to the convention centre and met up with the guys from LifeHacker, Allure Media and the other contest winners. It was great to finally meet everyone and to put names to the faces (like Terry Lynch and Craig Naumann) and of course I didn’t at all mind that I was then presented with the shiny new ASUS Zenbook and Nokia Lumia 900 to take home. Whilst I’ve given the Zenbook something of a workout already I haven’t had a chance to play with the Lumia thanks to my sim being of the large variety and it needing a micro. Hopefully I’ll get some time spare to sort that out tomorrow. We then headed off for lunch where I met one of their videographers and talked shop with everyone for a good couple hours over steak, wine and honeycomb bark. As an informal affair it was great and we were pretty much told that there weren’t any restrictions on what we could talk about, so long as they were at least tangentially related to Windows Server 2012. Thankfully it looks like the focus of this year’s TechEd is going to be about Server 2012 anyway so even if we were going to go off the rails we really wouldn’t have far to go. Still I was pleased to find out that our choices of sessions provided a good mix so that we were all able to go to the ones we wanted to. I’ve chosen to cover primarily Windows Azure and the cloud integration aspects of Server 2012 as whilst I’m sure there’s a lot going on below that level my interest, at least in recent times, has been focused on just how Microsoft is going to bring cloud down to all those loyal system administrators who’ve been with Microsoft for decades. The keynote was equal parts run-of-the-mill tech announcements coupled with, dare I say it, strange forays into the lands of philosophy and technology futurism. Now I can’t claim complete innocence here as I did make a couple snarky tweets whilst Jason Silva was up on stage but in reality whilst his speeches and videos were thought provoking I struggled to see how they were relevant to the audience. 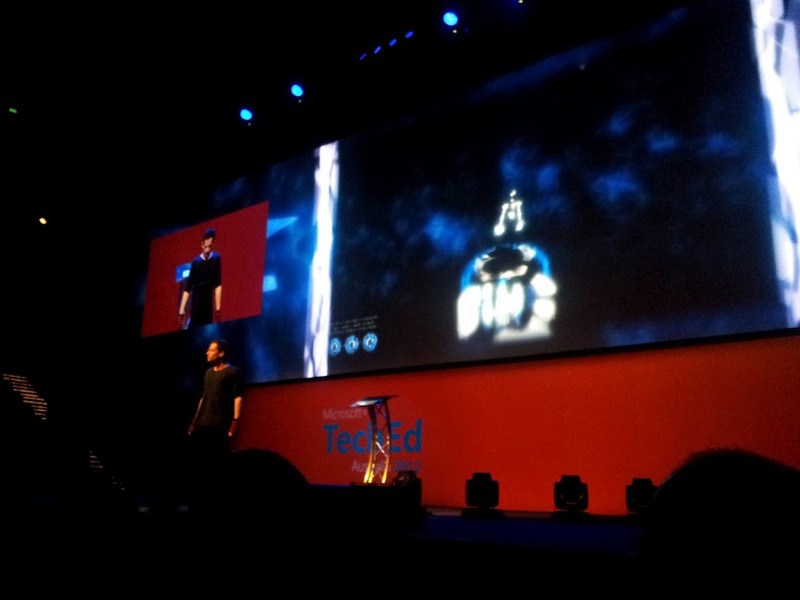 TechEd, whilst being full of creative and dedicated people, isn’t exactly TED; I.E. it’s not a big ideas kind of deal. It’s a tech show, one where system administrators, architects and developers come together to get a glimpse at the latest from Microsoft. Delving into the philosophy of how technology is changing humanity is great but there are better times for presentations like that like say TEDx Canberra which was just on recently. The technology part of the keynote was interesting even if it was your usual high level overview that lacked any gritty detail. For me the take away from the whole thing was that Microsoft is now heavily dedicated to not only being a cloud provider but becoming the cloud platform that powers enterprises in the future. Windows Server 2012 appears to be a key part of that and if what they’re alluding to turns out to be true you’ll soon have a unified development platform that will stretch all the way from your own personal cloud all the way back to a fully managed public cloud that Microsoft and its partners provide. If that promise is sounding familiar to you it should as HP said pretty much the same thing not too long ago and I’m very keen to see how their offering works in comparison. There were also some performances from various artists like the one from Synaecide above in which he utilizes as Kinect controller to manipulate the music with his movements. It was certainly impressive, especially in comparison to the interpretive dancer who obviously had zero control over what was happening on screen, and these are the kinds of things I’d like to see more of as they show off the real innovative uses of Microsoft technology rather than just the usual PowerPoint to death followed by a highly scripted demo. After this all finished we were allowed to go off and have a look around the showcase where all the Microsoft partners had set up shop and were giving out the usual swag which was when I decided to take my leave (after raiding the buffet, of course!). With all this being said I’m really looking forward to getting stuck into the real meat of TechEd 2012: the new technology. It’s all great to sell ideas, visions and concepts but nothing is more powerful to me than demonstrable technology that I can go home and use right away. Those of you following me on Twitter will know that I’ve already expressed scepticism at some of the claims has made during the keynote but don’t let that fool you. Whilst I might be among Microsoft’s critics I’m also one of their long time fans so you can rest assured that any amazing leaps will be reoported and missteps pointed out and ridiculed for your amusement. Now I’d best be off, I’ve got an early start tomorrow.